FACT CHECK: Did Michele Bachmann Say That 'Jesus Created Assault Rifles'? Did Michele Bachmann Say That ‘Jesus Created Assault Rifles’? A meme featuring a quote from the former Minnesota congresswoman is a hoax. Michele Bachmann said during an appearance on "Fox & Friends" that Jesus created assault rifles. 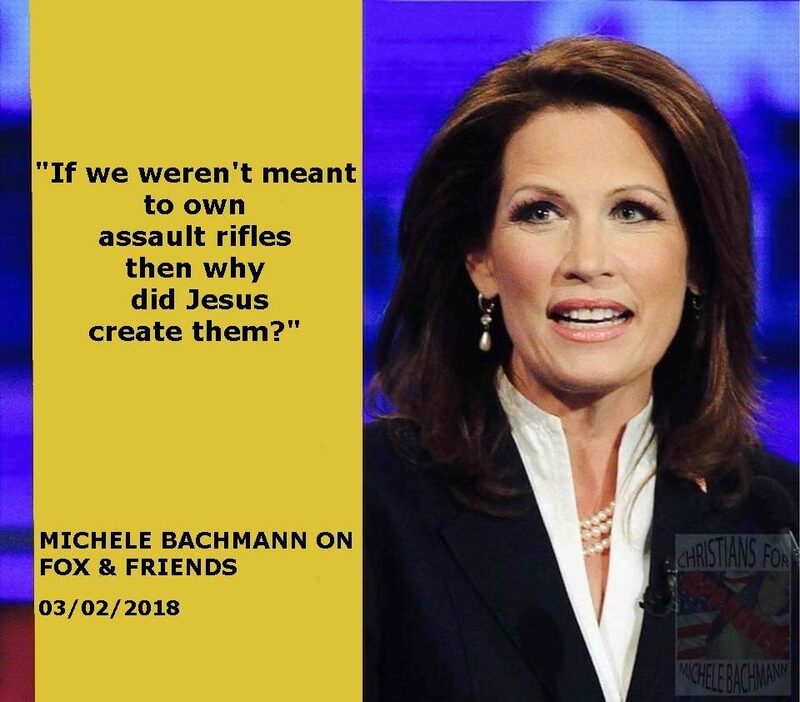 “If we weren’t meant to own assault rifles then why did Jesus create them?” – Michele Bachmann on Fox and Friends. 3/2/2018. This quote is not genuine. For one thing, Bachmann did not appear on “Fox & Friends” on either 2 March 2018 or 3 February 2018. Neither of the official Twitter accounts for either Bachmann or “Fox & Friends“ promoted or mentioned such an appearance. We also searched the show’s web site and the IMDB pages for the episodes on the aforementioned dates and found no record of Bachmann’s alleged visit. It’s unclear if “Politicked” created the assault rifle meme (using a template from Christians for Michelle Bachmann) or if they reposted the meme after the original was deleted. 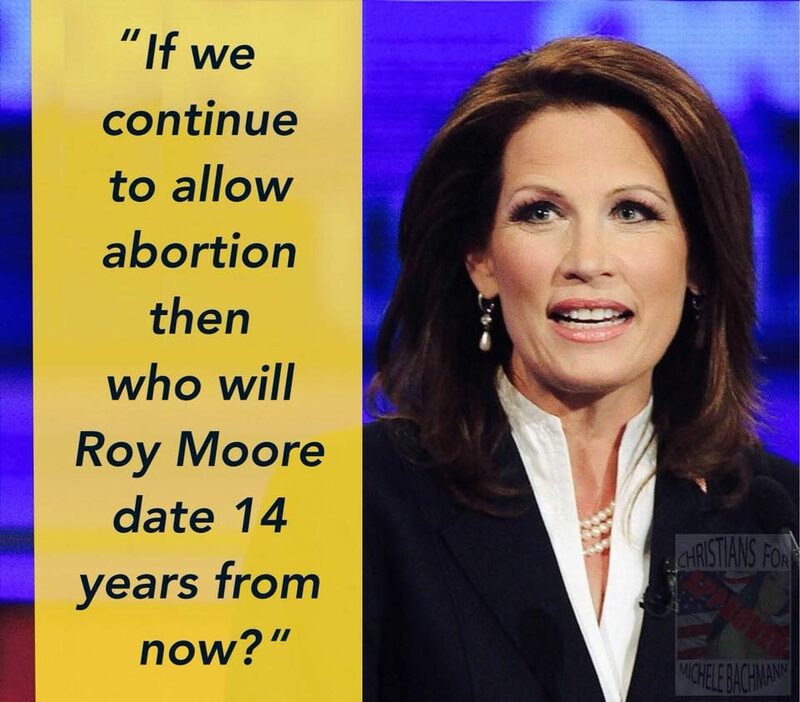 Regardless of which came first, this is not a genuine quote from Michele Bachmann. Rolling Stone. 22 June 2011.